reef snorkel trips offered in Key West. Rated Key West's number on reef snorkel trip by Trip Advisor! * Be sure to reserve your reef snorkel trip in advance. The afteroon trips usually sell out quickly. One of the most popular attractions in Key West is a reef snorkel trip. Sunset Watersports offers four different snorkel trips to choose from. 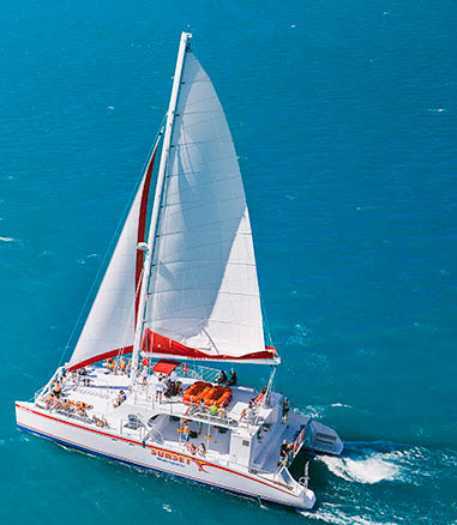 The most popular and best bargain to be found in Key West is the reef snorkel trip, which includes a six mile boat ride out to the main reef. The snorkeling you will find at the reef is truly a world class experience. The beauty and diversity of marine life at the reef is spectacular. This snorkel adventure also includes all the gear and FREE beer, pop and water you can drink on the return voyage to port. The reef is the third largest living reef on the planet and it's designated as part of the protected Florida Keys Marine Sanctuary. six mile trip out to the marine sanctuary. on your jouney back to port. in their new custom built catamaran. to bring your own gear if you like. Other snorkel adventures offered by Sunset is the Safari Speed Boat Snorkel Trip, which consists of a 2 1/2 hour twenty mile guided adventure through the backcountry and mangroves of the lower keys. 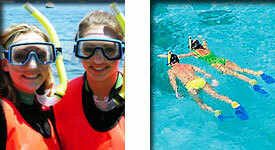 Snorkel gear is provided and the cost is $79 when booked on-line. 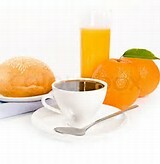 Four trips to choose from starting at 9:00 am, 12:00, 3:00 and 6:00 pm. 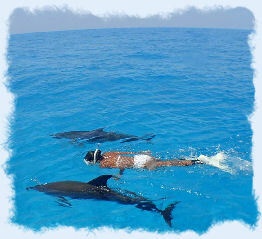 Yet another snorkel option is the Triple Combo Dolphin Snorkel Trip. This adventure includes a snorkel trip to the main reef and a stop at the Dolphin playground area. The 3 hour trip is only $59 and includes free beer and pop. They offer two trips daily, a morning/afternoon excursion and a late afternnoon trip. The after noon trip departs approx. 3 hours before sunset and includes viewing the famous Key West sunset from the best seat in the house, right on the ocean. 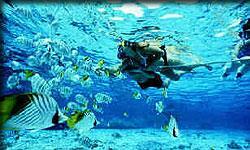 exciting snorkel packages to choose from. You should arrive at Sunset's location at least one half hour before your trip is scheduled to depart. Located at the Key West Seaport at: 201 Willams St.
Sunset Watersports features Key West's number on rated reef snorkel charter! 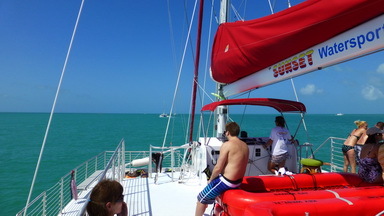 Sunset Watersports reef snorkel tours originate at the Historic Old Key West Seaport and depart from 201 Williams St.